The next day the group drove down to the North Rim of the Grand Canyon. After dinner we walked down to Bright Angel Point and captured another fantastic sunset. It was extremely windy that evening I need to weigh down my tripod to keep the lens as still as possible. 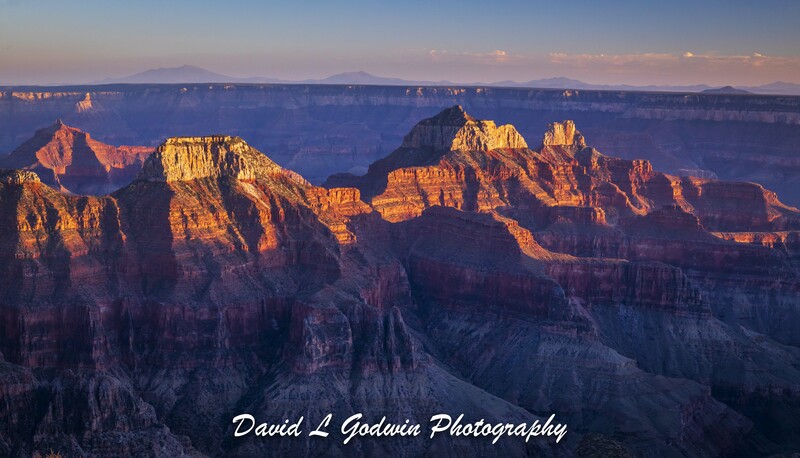 No matter how many times you have been to the Grand Canyon it is always inspiring to walk outside and to the very edge and look out across the massive erosional canyon that has been cut and created by the Colorado river. It is one of those scenes that is felt as well as witnessed with all your senses. In this image I can feel the last ray of sunshine sweep across and land and you get a true sense of size and scale of this wondrous sight. Hope you enjoy this image !